We install all AC brands, including Trane, Carrier and Comfortmaker. There are things you can do to eliminate or greatly reduce invisible allergens. Cleaning the ducts removes contaminants that gather inside the ducts. We test the cooling and heating system to be sure it is performing properly. B&B Air Conditioning & Heating specializes in AC preventive maintenance. We have worked hard to build a reputation for providing the best technical service, backed by a commitment to impeccable customer service. With every service call, from the simplest repair to the most complex installation, your satisfaction is our number one priority. Our work, air conditioning products and air conditioning systems come with warranties and guarantees. We offer same day service and 24/7 Emergency Service. 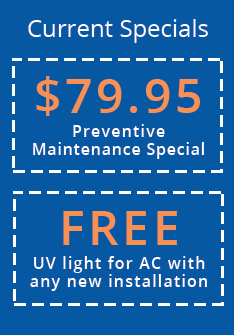 For more information on our current specials or for a free estimate, call us at 321-727-0101! We fix it all at a competitive price. We look forward to providing you with a true, positive customer service experience. It is important that you keep your system in good working order so it will function efficiently when those harsh summer months hit. You have great people working for you. Wendy was extremely accommodating whenever I phoned. She has a clear and personable telephone voice.